Graphic Specialties - offers a full range of imprinted products to meet your promotional objectives. Whether looking to build show traffic, motivate employees, plan a special event or show appreciation. we have an item that will fit your budget. 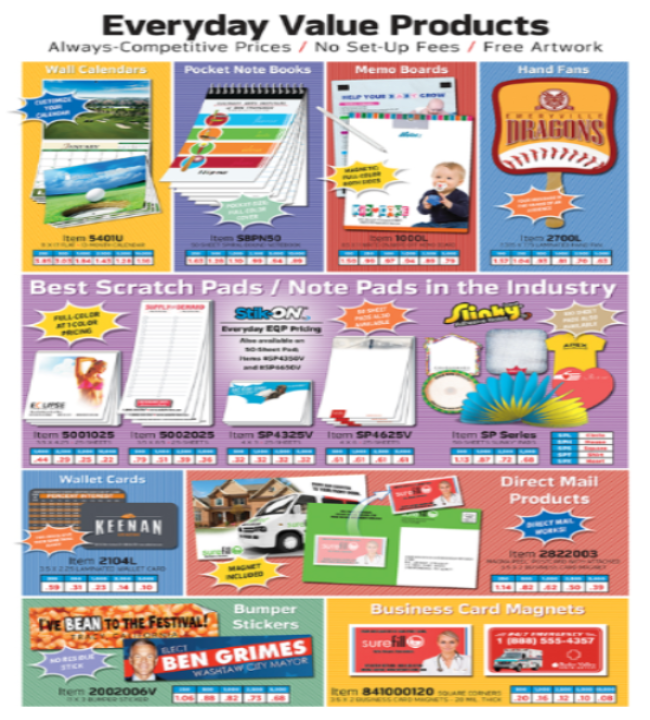 MAGNETS OF ALL SHAPES AND SIZES - including sport schedules, calendars scratch pads, adhesive sticky note pads,memo boards, posters flyers brochures and much more.